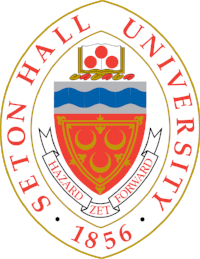 Sigma Iota Rho's Seton Hall University Chapter, Beta Kappa, inducted twelve new members on Thursday, December 7, 2017. The picture below depicts the inductees that were able to attend the ceremony. In the back row: Dennis Meaney, Julia Munsaka (President), Dr. Benjamin Goldfrank (Department Chair), Katarzyna Wac (Secretary), Lynn Wassenaar (Treasurer), and Lindsey Miller. In the front row: Sydney Medina, Zofia Gallegos, Anthony Tokarz, Megan O'Malley, and Zehra Ali Khan. Welcome to Sigma Iota Rho! Our organization exists to advance the service and scholarship of students of international relations through the promotion of a deeper understanding of world affairs. May your future endeavors give us a deeper understanding of these affairs. Excerpted from: Francine J. D'Amico, Ph.D.
Syracuse University, SIR’s Alpha Chi Chapter, inducted thirty-five new members at their Spring 2017 induction ceremony held at the Goldstein Faculty and Alumni Center. It was led by their current officers: President Cullen M. Stubbs, Vice President Claudia Delgado Ballester, and Secretary-Treasurer Benjamin A. Lee, as well as twenty-two new and thirteen previous inductees. Ten of the inductees’ faculty mentors-Godwin Cooke, Margarita Estevez-Abe, Dimitar Gueorguiev, Norman Kutcher, Harry Lambright, Tom Perreault, Eva Phillips, Sofia Sztechmiler, Brian Taylor, and Ryan Williams-who inspired their studies of international affairs were invited and recognized at the ceremony. Additionally, Dr. Ryan Williams was inducted, honoris causa, and is currently an Assistant Dean for Washington Programs and Director of their Washington Program at the Center for Strategic & International Studies. Previous Honorees included Ambassador and Professor Emeritus Goodwin Cooke (2013), Dr. Terrie Northrup (2014), Dr. G. Matthew Bonham (2015, and Dr. Mary Lovely (2016). "This year, the Beta Eta Chapter of Sigma Iota Rho at Manhattan College has sponsored two events, in addition to the Honor Society Induction ceremony. We sponsored a presentation by Kathe Newman, Ph.D., Associate Professor in the Urban Planning and Policy Development Program at the Edward J. Bloustein School of Planning and Public Policy and Director of the Ralph W. Voorhees Center for Civic Engagement, Rutgers University in February. We also sponsored a resume writing and cover letter writing workshop with one of our alumni, Brian O’Connor in March. He works for the Council on Foreign Relations and advised students on what people are looking for when hiring and how to get a job after graduation." "Students in Sigma Iota Rho at Oklahoma State University spent the last year organizing events and volunteering in the community. We hosted three documentary screenings on-campus: The War on Democracy, Dirty Wars, and Girl Rising. Students volunteered in the community by serving a Thanksgiving Dinner, participating in a Christmas Around the World, and helping at a benefit dinner for the Philippines. Students participated in an Activities Mart to promote the organization and an International Expo. The officers organized a guest speaker from Career Services to talk to students on campus about career planning, creating the right resume and how to find opportunities in your non-native country. In addition, we conducted an induction ceremony for new students each semester." "During the spring semester of 2014, Sigma Iota Rho at UC Berkeley continued to celebrate academic achievement and to expand by accepting 21 new members from a highly qualified pool of students passionate about international relations. The new members began to contribute at once through their participation in committees and by organizing a series of events, both social and professional. Such events included workshops and panels on relevant topics such as honors theses and research, professional development, and the graduate school application process. We also continued our tradition of hosting a faculty and student mixer where new and returning SIR members connected with professors outside of the classroom setting. Further strengthening our close relationship with the International and Area Studies Department at UC Berkeley, we served and supported the general student body of our department by organizing an alumni career panel and by offering advising through the department sponsored peer mentorship program. One of our new members also took the initiative to set up an enlightening graduate school panel which featured students from the Berkeley law, business, and public policy schools as well as Professor Joseph Bohling. The year was capped off with the induction ceremony held at the Berkeley Faculty Club. Associate Director of IAS Alan Karras, Professor of History David Wetzel, and Assistant Dean of Goldman School of Public Policy Sudha Shetty gave engaging speeches to celebrate the formal induction of the new members and to send off the graduating SIR seniors." "The Pi Chapter at the University of South Florida was recently re-established in 2011. During this past year we increased our membership to over 20 members and currently have the highest number of graduate and double-major students in our chapter’s history. During the year, we hosted multiple events including professional development workshops, two induction ceremonies, a graduate school information seminar, and multiple lectures. We also inducted our first honorary member, Dr. Abdelwahab Hechiche, who has attended multiple events and provided invaluable guidance to our members regarding their career, academic, and personal interests. In the coming year we hope to expand our membership and reach on campus, while continuing to expand the development of our members. We are delighted to announce that two of our chapter’s members have received internships with the U.S. State Department, another with Goldman Sachs, and one has received a Thomas R. Pickering Foreign Affairs Fellowship." "The founding of the Saint Joseph’s University chapter of Sigma Iota Rho was started during the spring 2014 semester. In total, eighteen students, eleven of which were seniors, were inducted into SIR at a ceremony held on April 16th. Four officers in the junior class were elected to carry on leadership in the 2014-2015 school year and to establish ourselves on SJU’s campus. In the next year, we hope to coordinate events, hold meetings, initiate new members, and work with other organizations on campus. We hope that Sigma Iota Rho and other international relations organizations at SJU can help create a close community of students and faculty members devoted to exploring international issues." As a new semester begins I would like to share the new found success Florida International University's Sigma Iota Rho chapter has enjoyed. During the Fall Semester of 2013 we reestablished the Sigma Iota Rho Chapter at FIU. With the help of our E-Board and chapter advisors we were able to initiate 21 new members! We also held various events throughout the semester that included socials, academic seminars, and professional development workshops. Now that we have established ourselves in our campus and within our international relations program as a renowned honor society, we are in high demand by students in the field interested in joining and attending our events and chapter meetings. This semester we are estimating initiating at least 20 more members and creating more events that help our members exhaust every opportunity SIR has to offer. Our goal is to become one of the top chapters in the nation in 2014 and help other established chapters succeed. Gregory Hall's research on the relative standing of the world's leading powers -- the United States, China, and Russia -- amid newborn competition from developing states has achieved publication in the form of a book. In Authority, Ascendancy, and Supremacy (Routledge), Hall -- Faculty Advisor to Morehouse College's Gamma Alpha Chapter -- weighs economic, resource, military, social / demographic, and political data in consideration of the consequences posed to the "Big 3" from the multipolarity phenomenon. James and I were the only remaining SIR members from the previous year, so it was our task to first advertise around campus and hold an informational meeting. Overall, the group grew substantially and we inducted 12 new members in Fall 2012 (their names will be listed in an appendix). My second task was to organize events and speakers for our bi-weekly meetings. We had Professor Melinda Cain come speak about what it means to have an International Affairs degree and how to market that for post-graduation opportunities. Our first event of the semester was run in conjunction with the International Affairs Club; it was an informational session for freshmen considering declaring International Affairs as their major. Due to low interest in this event, we plan on switching to study sessions next semester as our outreach to freshmen and sophomores. Our most successful event of the semester was a shoe drive that we ran to collect shoes for a local NGO One World Running. We spent a few weeks planning this drive and advertising on campus. The shoe drive ran for one week and we collected 150 pairs of shoes that will be sent around the world to people in need. Due to the large number of new inductees, we were also able to hold an Induction Ceremony with the Director of International Affairs at CU (Robert McKnown) at a local restaurant. The students received their induction materials and enjoyed a good discussion with Robert McKnown. As we look ahead to next semester, I hope to further increase the size of the group and encourage interest by running more events on campus. We will have speakers at our meetings from the Peace Corps, Career Services, and Study Abroad. This semester, the Alpha Eta Chapter of Sigma Iota Rho focused on study sessions for lower-division international affairs introductory courses. We reached out to the professors of these courses and worked with exam schedules as well as SIR member schedules. We ran three successful study sessions, with attendance ranging from 7 to 30 interested students. These sessions were a way for us to connect with freshmen and sophomores in the major and offer our academic support. We continued with presentations and speakers during our bi-weekly meetings. We hosted presentations from the Peace Corps, Career Services, Study Abroad, and JuWon Melvin (co-creator of LifeSoap, an international NGO). These presentations were a good way for members to become acquainted with post-graduate opportunities with an international affairs degree. We held a spring induction ceremony to induct 5 new members to Sigma Iota Rho. This event was held in conjunction with the International Affairs department at CU. At the end of this semester, we held elections for the leadership team for the 2013-2014 academic year. The new president, Jake Hertenstein, will be joined by two officers- Alex Bollman and Laura Blome. They have a new vision for the Alpha Eta Chapter of Sigma Iota Rho and will continue on the long-standing legacy of the group. At Oklahoma State University, Pia Guyman was the staff person who started our chapter of Sigma Iota Rho. Pia left in December, and I started in March 2013. As the academic advisor for the international studies minor at OSU and the co-advisor of the Student Association for Global Affairs, I get to interact with students interested in international studies. While Dr. Joel Jenswold remains the faculty advisor for OSU’s SIR chapter, I replaced Pia as the staff member associated with the local chapter. From the records left behind, I know that there was an induction ceremony on April 25, 2012, and elections took place at some point after that. In August 2012, there was an ice cream social for students in Sigma Iota Rho and the Student Association for Global Affairs. On February 16, 2013, students in SIR manned a booth at OSU’s International Bazaar to promote SIR and recruit new members. Since I have been in this position, we have had one event, an induction ceremony, on April 24, 2013. We inducted five new members. SIR Member Wins Prestigious Award! University of Alabama at Birmingham (UAB) alum Brendan Rice has been awarded a President William Jefferson Clinton Hunger Leadership Award. Rice, a 21-year-old Anniston native, graduated from UAB in December 2012 with a degree in international studies. Rice has a laundry list of work with organizations devoted to eradicating hunger, including the United Nations Food and Agriculture Organization (FAO), Alliance to End Hunger, Bread for the World and the Alabama Poverty Project. He has also served with the U.S. Department of State through its Virtual Student Foreign Service eInternship program. Today, Rice is in Sierra Leone working with the FAO on a project that involves the formation and development of 193 Agricultural Business Centers that assist poor smallholder farmers by offering services and access to markets. Drawing from his time in the Media Studies program at UAB, Rice is creating a short documentary that will show the effect of the project on food security in Sierra Leone. Ultimately, Rice plans to pursue a master’s degree in development studies followed by a master’s in food security. From there, he hopes to pursue a career in international development though the United Nations, USAID or a non-governmental organization such as Oxfam America.